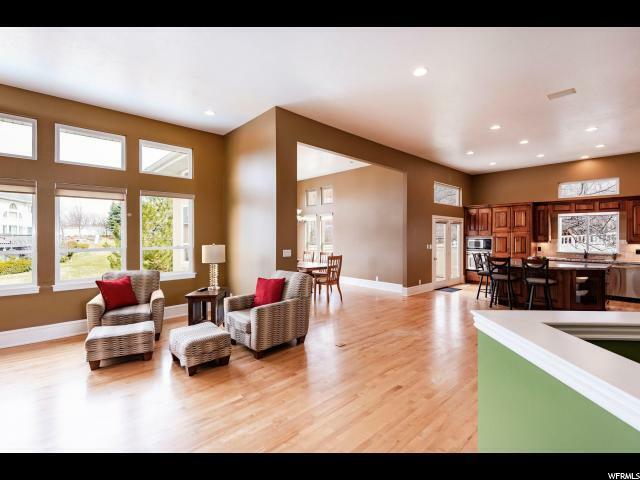 This Shadow Valley rambler offers a spacious, open floor plan with soaring ceilings and lots of windows to optimize the natural light and mountain views. Perfect for entertaining! A custom kitchen with cherry cabinets, built in appliances, gleaming granite counters and center island flows seamlessly out to 2 large balconies overlooking the yard and pool where you can enjoy sunrise and sunset dining or an evening BBQ. 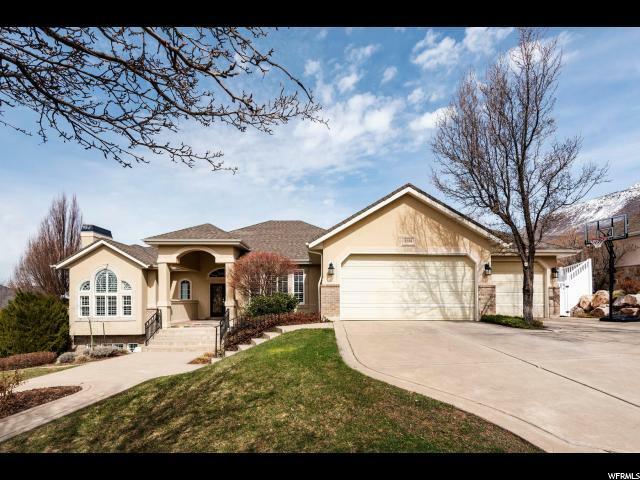 5 large bedrooms, an office/den and 4 full baths, together with plenty of storage space offers room for everyone. Take your pick of 2 Master Bedroom suites. Both offer ensuite baths with separate shower stalls, soaking tubs and generous walk in closets. On the lower level you will find the family room with direct walk out to the yard. Large above grade windows ensure this level which accommodates the additional 4 bedrooms is also light and bright. Triple car garage, spacious parking area, fully fenced and landscaped yard. 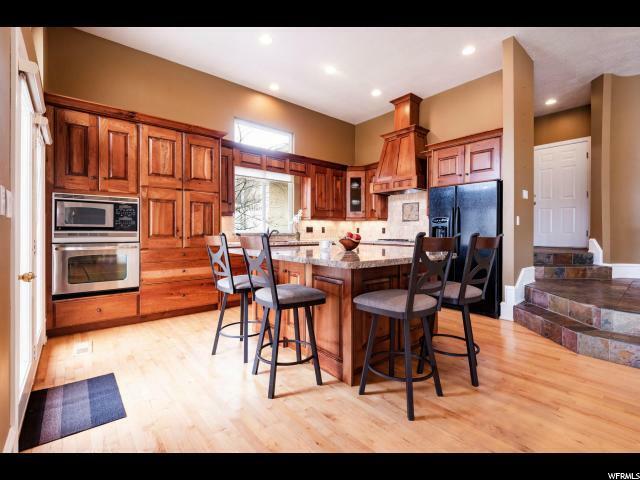 Highly desired east bench location that is close to amenities, trailheads, Weber State University, medical facilities, world class skiing and Pineview Recreation area. OPEN SAT. MARCH 30th 12 -3 PM.